Sunday, October 26th, 2008 | 11:30 am	and filed in Music, Friends. I’ve been talking about this project for a year. Many hours of recording and editing and mixing were followed by hours of CD booklet design and layout and mastering. Even after receiving the final product, hours of planning were consumed for promotions and the record release event. 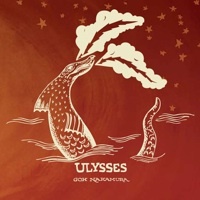 Now finally…after many weeks of preparing the site update, the Ulysses album by my friend Goh Nakamura is finally available. He is releasing a free download version. For those who are partial to look towards alternative sources of music downloads, there’s no need to look any further than Goh’s website. “After four years in the making, my second album, Ulysses, has officially launched! Whereas Daylight Savings, my first album, was written and recorded in solitude, Ulysses is a reaction to that; a celebration and collaboration with artists and people whom I’ve had the good fortune to meet through the first album. The call to arms here is helping me cross the toughest threshold; getting my music out to the masses. As an independent musician, this is the bafflingly difficult part, and it’s nearly impossible to do alone. For that reason, I’m writing today to ask for your help. After much deliberation, I’ve decided to release this album as a free download. Specifically, what I’m asking you to do is: Download the album. Listen to it. Tell your friends on Facebook about it. Twitter it. Blog about it. I really believe there’s something for everybody on this album. Ultimately, if it moves you, please purchase the limited edition CD–the beautiful packaging/artwork is worth the price alone. From the bottom of my heart, I thank you for joining me in this exciting, and scary part of the journey. Something tells me it’s just the beginning.